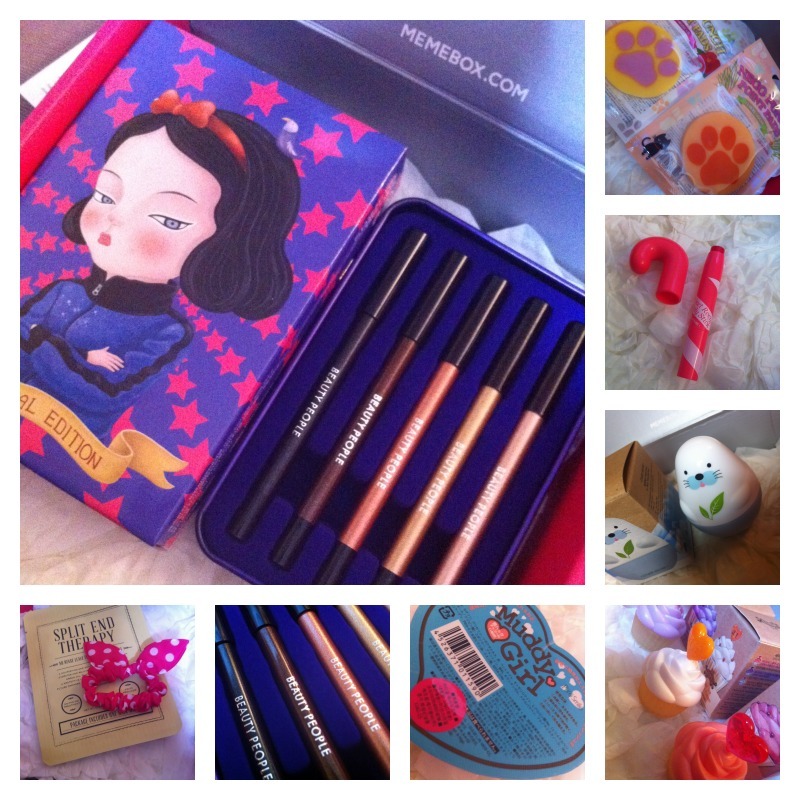 In the last post we looked at a bunch of Memebox Korean beauty boxes that were not exactly top notch. 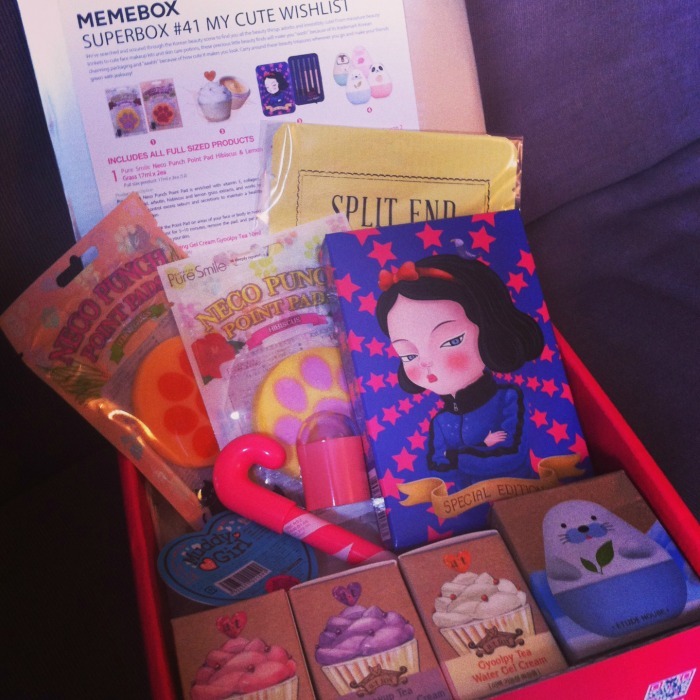 Thankfully today’s delivery of the Cute Wishlist Superbox has more than made up for that. Two packets of 10 paw printed mini masks designed to deliver targeted skincare. These are hibiscus and lemon grass varieties, containing Vitamin E, collagen and hyaluronic acid. Not suitable for cats, so don’t tell Dennis. Three adorable little cup cakes containing various types of tea-themed moisturisers. Not much product in there but HOW cute??? A moisturising tinted lip balm in the shape of a candy cane. I’ve admitted defeat with this as I’m clearly far too old for it, so have bequeathed it to my teenage daughter. But never too old for a seal-shaped tub of hand cream! Hand cream is such a boring product, it should always have cute packaging by law. A lovely floral and citrus scent, this makes me smile; but with only 30ml of product it’ll have to be used sparingly. A one use portion of clay and charcoal face mask. Useful for frightening the kids. This grumpy, badass princess is most definitely the star of the box. The purple, velvet-lined box contains five eyeliners with a hint of sparkle. I love how wearable these shades are, and the tin is just adorable. 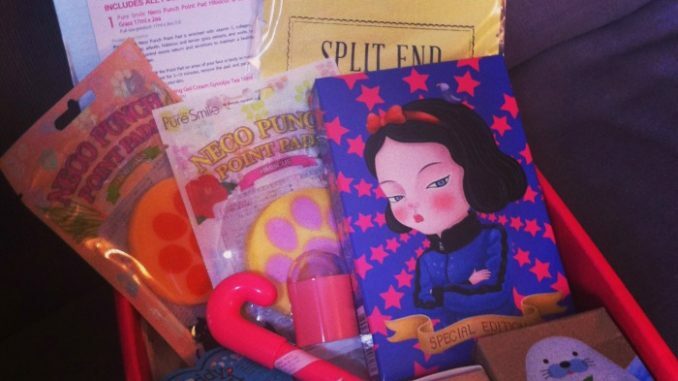 This is the sort of brilliant beauty box treat that’s a delight to receive. Memebox’s My Cute Wishlist was originally on sale for $23 plus $6.99 shipping but I won some store credit in an online giveaway, and that plus discount codes meant I could pick this up for only $1.99 or £1.19. Cute Wishlist sold out within a day, as did Cute 2 (which I’ve also ordered), so if you like this look out for Cute 3 and snap it up quick when it appears. Memebox is non subscription, so you just have to jump on the boxes you like the look of when they appear. Similar-ish themes to Cute currently on sale are the Pinkaholic Superbox and the three Princess boxes.